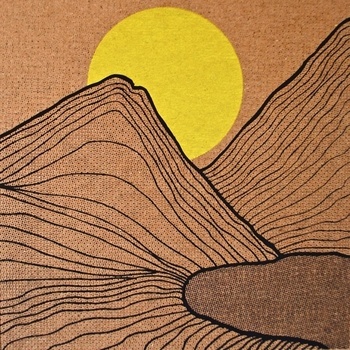 Monster Rally is Ted Feighan from Columbus, Ohio, a senior at Ohio State University with a track in print-making. 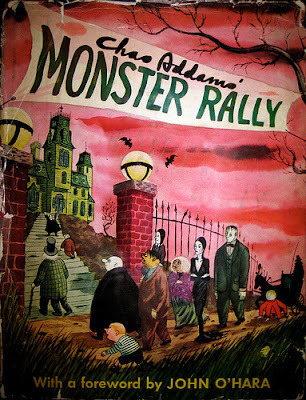 He named his own project from the 50′s cartoon “Monster Rally” (The Addams Family) by Charles “Chas” Addams (1912 – 1988). His latest 4-song 7″ EP “Deeep Sea” that the follow up to the limited vinyl release of the debut LP “Coral” via Oakland’s Gold Robot Records is due out on May 31st via Gold Robot, and digitally available now on his bandcamp, a limited edition of 300 copies, hand-screened covers by Monster Rally himself.